Hwang Sun Enterprise, Co. Ltd. Founded in 1982 in Tainan, Taiwan, Hwang Sun Group (HES) is one of the world's largest dedicated producers of Auto Machine Design, Hot Melt Applicator and Lamination Equipment, Cosmetic Filling Machine, Fine Ceramic Components and Ultrasonic Beauty Appliance, etc. 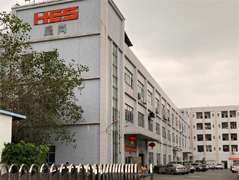 The HES Group includes Taiwan HES in Ann-Ping District, The Exhibition Center in Taiwan Technology Industrial Park and Hwang Sun Technical Development (Shenzhen) Co., Ltd, and Dongguan Hwang Sun Industrial Co., Ltd. in China. We are the professional group that is capable of R&D, Production, Marketing and After-sale Service. We are the one with the unique capability in quality and service around the world. Being the world leading enterprise in lamination and filling equipments and other relevant industries. Our company quality is always beyond the global quality requirement and we are the total solution providers in the global lamination techniques and equipments. We offer our customers the safety, environmental-friendly and high-efficiency solutions with all our production activities, such as R&D, manufacturing and marketing. Our core values are the values of people, profession and integrity, nothing but the effectiveness. 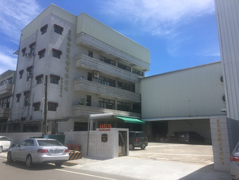 Dongguan Hwang Sun Industrial Co., Ltd.
We focus on the business model of "High Quality and Low Cost" to create the product differentiation and hope to become the leading company in the middle-high end hot melt applicator industry. The ceramic department builds up the customer-trust brand and becomes the first-choice product provider. The HES group makes out the global strategic plan to establish the professional sales & after service teams locally. Forming out the specific organization and human resource management based on the value of people to increase the competitive capabilities. Combining the resources among Enterprise, Government and Academic Institute to create the maximum profit niche and synergy. 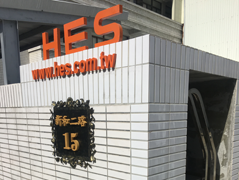 The products of HES group have already entered more than twenty countries globally. To ensure the product quality and the great after-sale service, HES is not only qualified the ISO-9002: 1994 Certification and the ISO-9001: 2000 Certification in 2002 in Taiwan and Shenzhen, but also has received many foreign approvals given by the countries such as UL, GS, CSA, TMARK, CE, (N), (S), (D), (F), and FDA. We have the specific and professional techniques, the innovative thoughts, complete after-sale system and wide-open application fields to help our honorable customers use our products safely and achieve the maximum economic profits.